''Running is like hitting yourself over the head with a hammer,'' Garcia said. ''When you stop, it feels good." Brantley's ARRS is INSANE.. and Larry Greene beat him by a minute in that race, when Brantley was in top form. 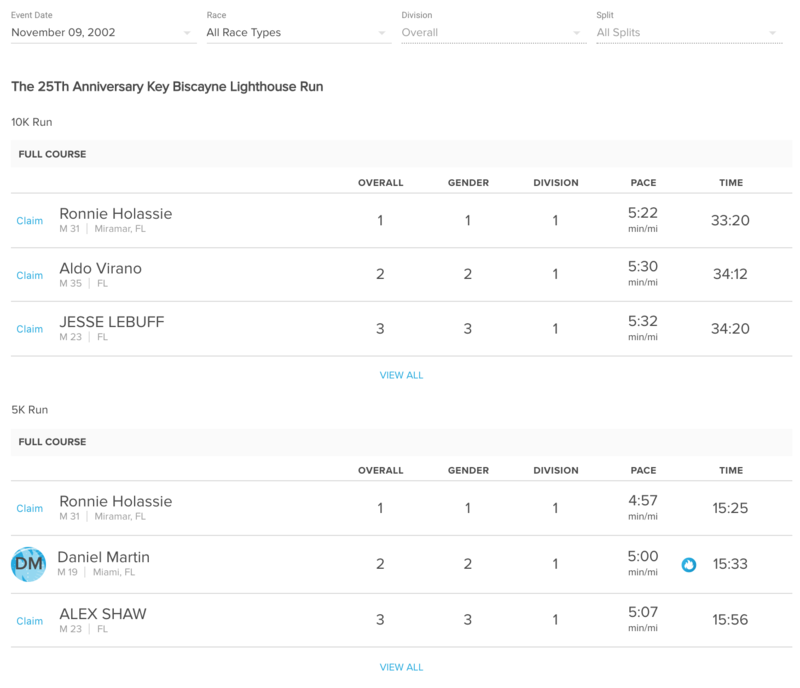 brantley is a many-times sub14 5k'r.. SFL runner. 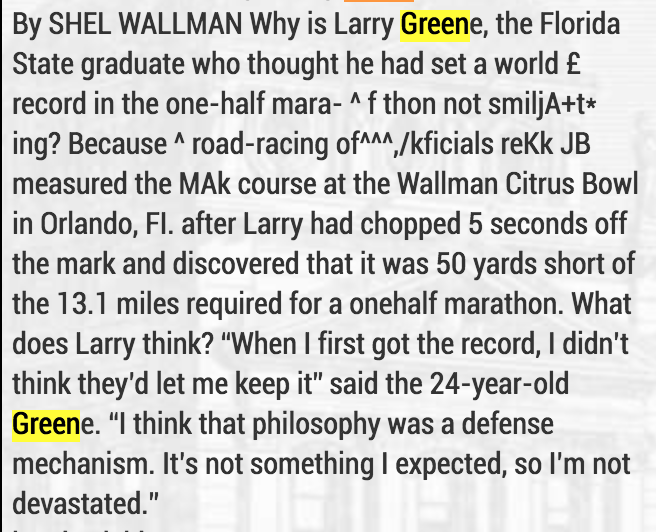 citrus bowl half, talks about the mistake the year prior. Green's record was negated by problems he had absolutely no control over. In order to make the starting line more accessible and convenient, a decision was made by the Orlando Bureau of Recreation to move the start ahead to in front of the Lake Eola Bandshell on Rosalind Ave. Unfortunately, no adjustment was made for the distance lost in the change. Mary Level-Menton ran a 1:16 half, 1.5 years after getting into road racing. Level-Menton, who began road racing 1 1/2 years ago in order to lose weight, finished sixth in 1:16:27. Level-Menton, 24, of Seminole, was more concerned with her social life than anything else four years ago. She ran track in high school at Port Townsend, Wash., joined the team at Oregon State as a walk-on but quit running in 1981. After moving to Florida, Menton, 5 feet 3, decided to begin training again after she ''ballooned to 115 pounds.'' Eighteen months later, she has a 35-minute 10K, 53:13 15K and a 2:43:35 Twin Cities Marathon to her credit. ^^ after 18 months of training.. insanity. really cool/focused dude i met a while back at weston memorial day classic 5k has been crushing it. he did "bad" (3h+) in berlin, seemed kind of down about it, and he's' refocused + flying now. 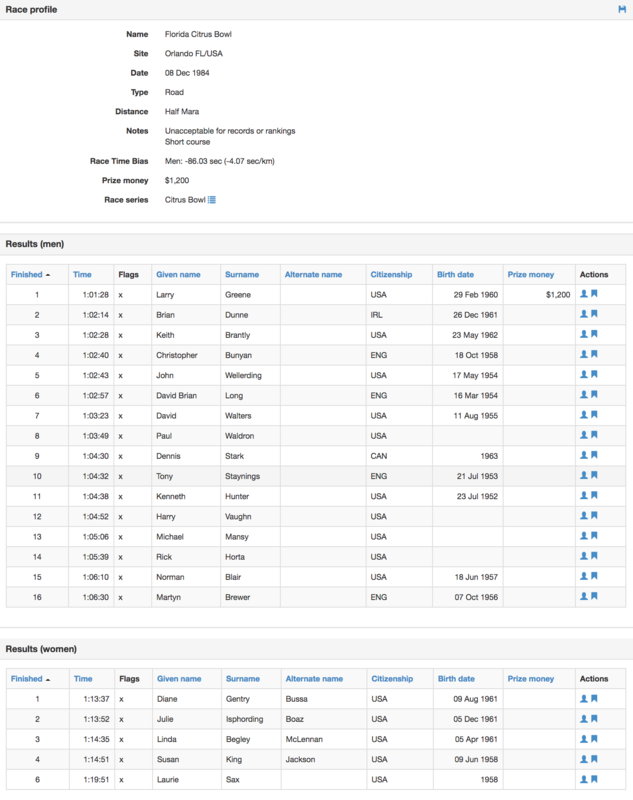 Eddy Souza, who i've mentioned here before, got 3rd OA at "Death at DuPuis Last Man Standing" .. an ultra where you run 5k every hour, for as long as possible. seems like he got to 111 miles. I mean he has work & a fam so not sure if he stopped because of responsibilities.. apparently the other top two guys were battling well over 30 hours. 1st OA did 129 miles.